In the beginning, for both of us, there were the movies. We grew up in outer-borough New York City, several subway stations and worlds apart, hooked on Hollywood. Rosemarie: For me it was 42nd Street (1933). I found it on TV one afternoon and was so entranced that when my friend knocked on the door and asked me to come out and play, I said no. My mother warned me that if I made a habit of it, they might stop knocking. But I had to go back to that world. I loved the camaraderie among the women, the romantic view of the effort it took to put on a show. Above all, I loved Ruby Keeler. Still do. I responded to her lack of sophistication and her desire to be sophisticated. She came across as a nice person willing to work herself to the bone to get what she wanted. I responded to that, instantly. Vince: Blame The Mask of Dimitrios (1944), from an Eric Ambler novel. Which doesn’t even rank in the top three Sydney Greenstreet/Peter Lorre movies. I was 7 years old when I saw it. What I remember most is my parents commenting on how odd it was, a kid that young held rapt by an old movie. But those faces mesmerized me. And the atmosphere. Dark, sensuous, mysterious. It seemed … adult, in a way new movies were not. I stepped into those shadows decades ago and never came out. 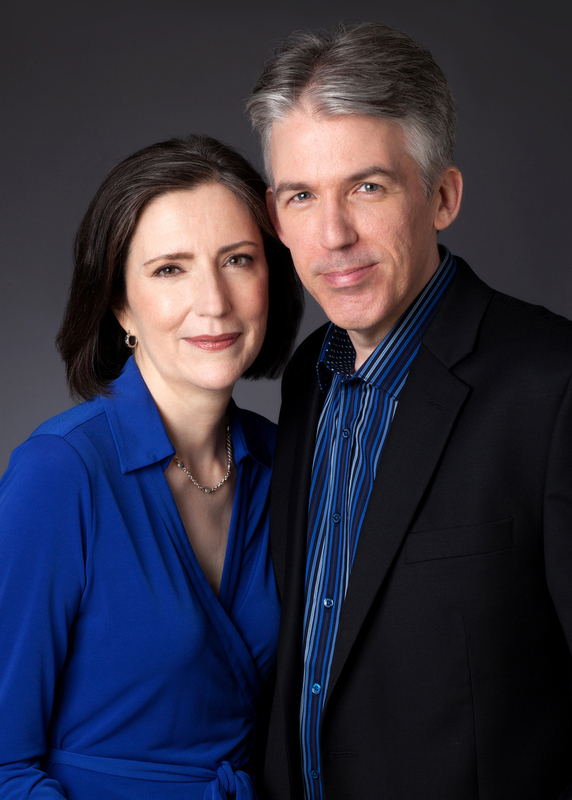 We met in Florida, got married—more than 25 years ago now—and headed west. Not all the way to Tinseltown, but at least we were in the same time zone. Turner Classic Movies was our constant soundtrack, unless the Mets were playing. Whenever a classic film was revived, we’d be at the theater. 2007 found us in cinephile heaven. That’s when Eddie Muller brought his Noir City Film Festival to Seattle. Double-bills of vintage crime films, every night for a week. We introduced ourselves to Eddie. Within a few years we were manning the Film Noir Foundation table in the theater lobby. Once we even filled in for Eddie, introducing a full day’s slate of movies. Vince was contributing articles to the Film Noir Foundation’s magazine, on his way to becoming managing editor. Rosemarie: I decided to write an article about costume design in film noir. I started with Edith Head, because of all the classics she’d worked on: Double Indemnity, Sunset Boulevard, the Alan Ladd/Veronica Lake films. I began reading about her and couldn’t stop. Head’s career remains one of the most amazing in film history. Spanning seven decades, from the silent era of the 1920s to the dawn of corporate Hollywood. For her final film, 1982’s Dead Men Don't Wear Plaid, she dressed Steve Martin so he could interact seamlessly with clips from movies she’d designed in the 1940s, even reworking a Barbara Stanwyck costume for him. She would be nominated for 35 Academy Awards, winning eight, the most of any woman. Unlike her contemporaries and mentors, Head didn’t have a background in fashion. Born Edith Posener, she grew up in Nevada mining camps where no one ever struck a mother lode of glamour. She was working as a teacher in Hollywood—among her charges were the daughters of director Cecil B. DeMille—but sought a better-paying position. Spotting a classified ad seeking sketch artists at Paramount Pictures, she bluffed her way through the interview, passing off her fellow art students’ work as her own. Once in the job, she set about making herself indispensable. Like Ruby Keeler, she was willing to work herself to the bone to get what she wanted. For all her innate talent at costume design, she was an even more accomplished politician, adept at wrangling actresses, pleasing executives, and collaborating with directors. She’d tell whatever story was necessary to achieve her aims; her three biographies frequently contradict each other, and in later years she’d even discredit her own 1959 memoir, The Dress Doctor. About the only point everyone agrees on when it comes to Edith Head is she was a tireless employee. Time to put a little more on her plate. Rosemarie: I wanted to make her a detective, not only because she had such a long career and knew everyone, but because of the nature of her job. She deals with performers when they’re at their most vulnerable. She knows their secrets and keeps them. Vince: As soon as Rosemarie suggested it, I wanted in. Costume design provided a fantastic window into the old Hollywood studio system. Even more exciting, it would be a true collaboration. Rosemarie knew the period, the movies, and especially the clothes. Plus it was her idea. Our only problem? Edith’s aforementioned workload kept her tethered to the studio. She couldn’t set aside her sketch pad to go chase down a lead at the Trocadero. Clearly, she would require an accomplice. Here’s where our other shared love, of classic crime fiction, paid dividends. We were both huge Rex Stout fans. If Edith was our Nero Wolfe, she’d need a wisecracking Archie Goodwin. We made her a New Yorker, hailing from Rosemarie’s neighborhood. The promise of a screen test brought her, like so many other young women of the era, to Hollywood. Lillian quickly realizes she’s no actress. But we didn’t want her to join the roster of also-rans and never-weres that haunt Hollywood novels of the 1930s, like The Day of the Locust and Horace McCoy’s underrated I Should Have Stayed Home. Instead, Lillian is savvy enough to realize she can make a life if not a name for herself in Southern California, appreciating that whatever hardships she may face her new home always offers the hope, as the song from the Academy Award-winning musical La La Land says, of “Another Day of Sun.” A levelheaded woman still occasionally susceptible to stardust would make the ideal complement to the no-nonsense Edith Head. Our debut novel, last year’s Design for Dying (nominated for both an Agatha Award and a Left Coast Crime Award), tells how Lillian came into Edith’s orbit. It features cameo appearances from the likes of Barbara Stanwyck, Bob Hope, and Preston Sturges, and brims with jokes. 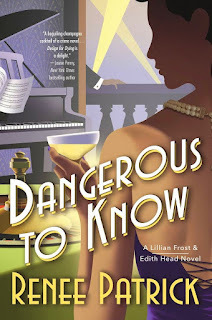 The follow-up, Dangerous to Know, hews to the same template but broadens the scale and ups the stakes. We wove in plenty of the Hollywood history that fascinates us, including a long-forgotten 1938 scandal in which two of Paramount’s biggest stars found themselves brought up on smuggling charges, and the still-being-unearthed saga of the studio moguls’ clandestine plan to battle the Nazi influence in Southern California in the years before World War II. All of it viewed through the prism of two career women trying to make their way in a society that didn’t always welcome them. Our ultimate fantasy for the series is to pen a fanciful, fictionalized, female-centered chronicle of the movie industry. If it takes focusing on gorgeous gowns to get there, so be it. READ MORE: “Dangerous to Know: New Excerpt” (Criminal Element).